After a string of leaks Huawei has finally made the Ascend Mate 2 official today and it is a rather modest upgrade but it features some nice useful goodies rather than gimmicks. It features the same 6.1-inch 720p display as its predecessor but it is of a better quality as noted by many. It comes in two variants, one with Qualcomm’s quad-core 1.6GHz SoC while the other is Huawei’s home made HiSilicon Cortex-A9 chip. It has 2 GB of RAM and 16 GB of internal storage along with microSD expansion. On the camera front, it has a 5 MP shooter on the front while a 13 MP camera along with LED flash graces the back. The connectivity is all covered as you would have come to expect but there’s a surprise in there with LTE Cat 4 which means 150 Mbps. All the hardware is powered by a 4080 mAh battery which Huawei claims will keep you up for 60 hours under normal usage and 12 hours of web browsing and you can even charge other smartphones with your Ascend Mate 2. 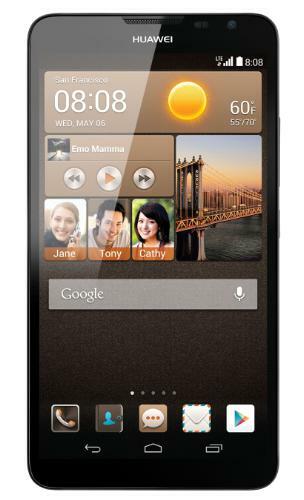 The Ascend Mate 2 comes with Android 4.3 with Huawei’s Emotion UI on top which brings some cool features so that you can use the giant Ascend Mate 2 single handedly. When you go ahead and dial up a number the keypad tilts itself depending on the tilt of your phone. There are also floating widgets of casual usage apps such as Calculator, calender, notes etc.. Although the Ascend Mate 2 is not a big update to the original Ascend Mate but it is still quite satisfactory considering the beefy battery. Huawei is yet to mention the pricing and availability of the device but we’ll keep you posted.